This may be a difficult article to read...it may change your whole opinion of me. I hope it doesn’t, but here goes. If you have ever seen the movie, “So, I Married an Axe Murderer,” you might remember the scene with Michael Richards, where his character is making jokes, in a newspaper office, about people who have ended up in the obituaries. When he is approached about one of the people he was making fun of, he becomes defensive and starts yelling to everybody in the office that he is a “very insensitive man! Stop you're job, look at the insensitive man!” In context, it’s an amusing scene. 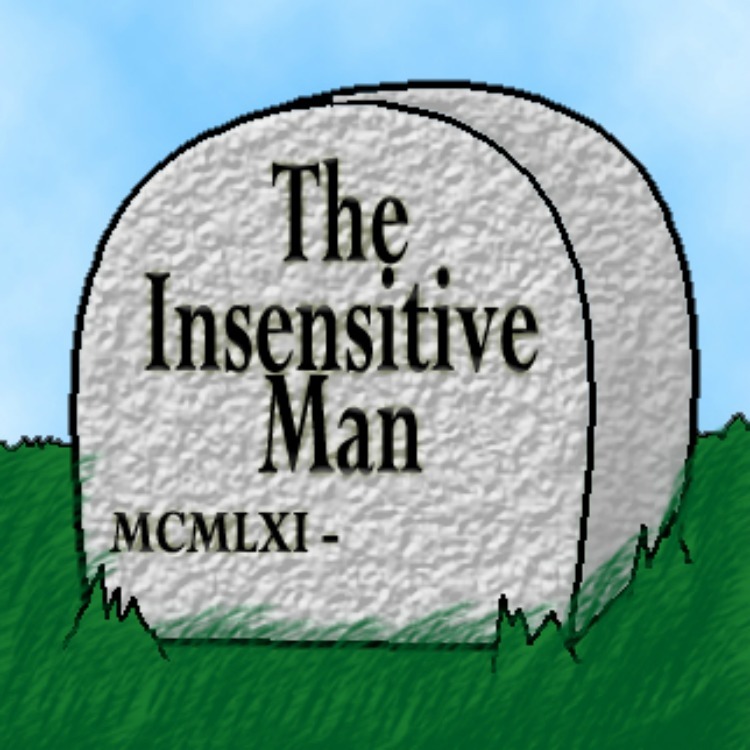 How can YOU...the happiest man in the world; a man who preaches Love, Life, Light, and Laughter; a man who cries while listening to inspiring music, or while watching happy-ending movies...be an insensitive man? It’s because...*sigh*...I do NOT cry at funerals. It has raised some questions in myself, about myself...and do you know what I discovered? Yes, it is sad when someone dies. Yes, we will miss them terribly. And yes, it hurts. But I realized that I don’t get that sad at a death because I KNOW they are in a better place. They aren’t really dead. I’m not bringing religion into this article...AT ALL, but I DO know that there is more life for us after we are released from THIS existence. We just head on into another BETTER existence. That knowledge gives me the power to realize that we don’t have to be sad about losing someone. I have friends that I haven’t seen for many years. Yes, I miss them. But I know that they love me, and they know that I love them. And we know that we will see each other again someday. It’s the same thing with death...we WILL see our loved ones again. ...there are three reasons why people might be inconsolable at the death of a loved one. The person who passed away did so before we think they should have. The hardest time my wife and I ever had at a funeral, emotionally, was when our neighbor’s 12 year old child lost his life. The parents were heart-broken and we realized that it is true that a parent should never have to bury their child. So we were mourning, not so much for the child, but for the parents. It is one of the only funerals we ever felt that deep kind of grief. The grief we experienced was the empathy we felt for the parents. And yet, throughout the whole process, we understood that they WILL see him again someday. They do not believe that there is a life after this one. If a person believes that “once you’re gone, you’re gone,” then yes, they are going to be incredibly sad at the passing of someone they love. It is very understandable that someone would be inconsolable if they’ve loved somebody, then lost that somebody, thinking they have lost them forever. I can’t imagine the anguish I would be experiencing if I didn’t have my knowledge of a next life. They have unresolved issues with the departed. I have seen this time and time again...not JUST at funerals, but ESPECIALLY at funerals. The people who seem to have the hardest time with the passing of loved ones, are the people who, during THIS life, let problems come between them and the people who have moved on. If their last words to them were spoken in anger, or if there was an on-going, unsettled feud, or if they needed some sort of forgiveness that now they will never receive, that can cause some deep-rooted agony. And that can eat away at a person for the rest of THEIR lives! !This let’s us know that you should never have unresolved issues with anybody, and you should always forgive or ask for forgiveness from anyone you think needs it...and that you should always let your loved ones know that they ARE loved ones. Because you never know when somebody’s time will be up. I am very grateful for my knowledge of an afterlife. It IS sad when someone dies...but I know that there is hope, there is joy, there is peace...and we will see that person again. So if I have come across as insensitive, I apologize. If this disappoints you, or if you think I am wrong, I hope you will one day be able to forgive me. For, you see...I AM a SENSITIVE man! !